With absolutely flawless conformation and just the right amount of chrome, standing 15 hands, Tee is an outstanding prospect. Easy to catch, quiet to handle and good to ride! Having worked most phases on the ranch, Tee’s resume already exceeds most 7 year olds. He has a good neck rein, knows his leads, and works off leg pressure. We have started him roping in the arena and he has all the attributes to make a fancy rope horse. 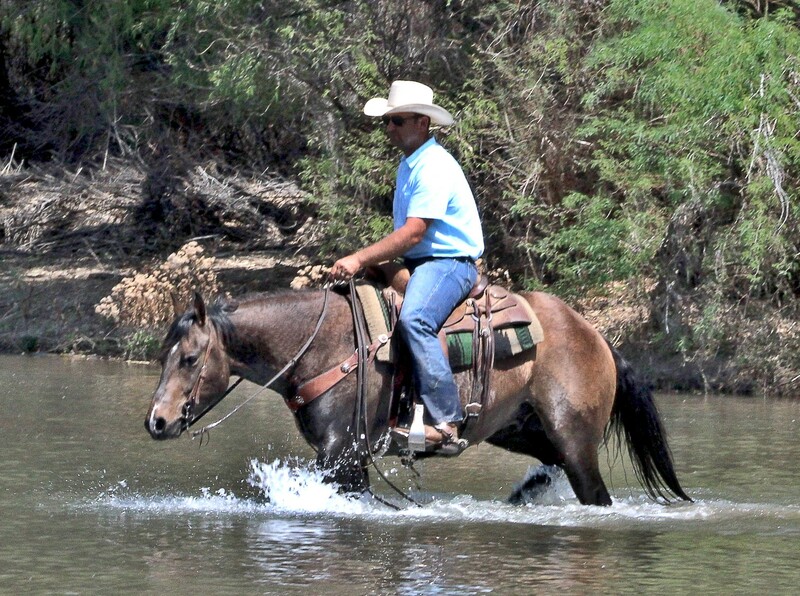 Tee has spent this past fall riding the desert of Arizona gathering cattle and trail riding. If your looking for that faultless gelding, with endless talent, come and try Tee. Come and watch him compete in the ranch horse competition. Tee is guaranteed sound, UTD on worming, dental and farrier.